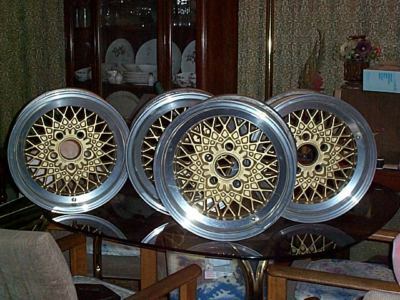 Set of 4 BBS Wheels made in Germany, 15x7, for 1970-81 Camaros. Although these wheels were made specifically for 1970-81 Camaros they would fit any car that used the same bolt pattern and a 15x7 wheel size with 3 3/4 in. backspacing. 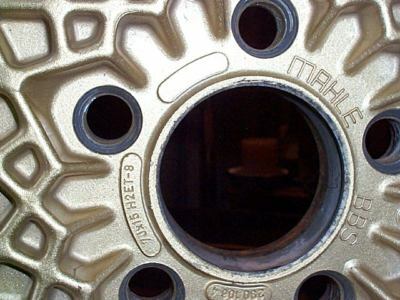 Wheels have metal valve stems. Wheels include center caps, lug nuts, 17mm socket, lug nut wrench, BBS road wheels catalog that the wheels were originally listed in, and application chart. I bought the wheels new in April, 1983 and had them on my 1978 Camaro for 16 years. Wheels are in good to very good condition. 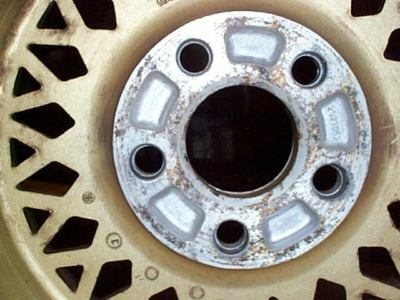 They have minor chips around the edge where wheel weights were attached, marks from where adhesive wheel weights were stuck on, and one of the center caps has slight dents in it. 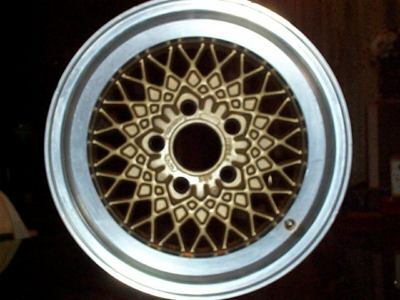 The order code for these wheels was RA 106 and they were listed as 7 J x 15 H 2. Buyer pays all shipping costs if you cannot pick up.